Taking care of our bodies is a daily commitment and a life-long process. Our Body Care products have been personally selected to provide hydration, exfoliation, toning and firming benefits. These great brands will help you bring the spa experience into your home every day. Transform your bathroom into a spa with Dermalogica’s therapeutic body care products. Everything you need to look and feel your best. 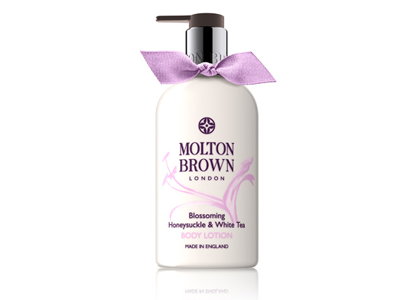 Molton Brown products have been made in England since 1973 using ingredients from around the world. For over a decade St. Tropez has been revolutionizing self tanning. St. Tropez offers a simple, reliable, professional self tanning system that delivers professional results. With a continual line of innovative products designed to deliver exactly the tan you want with a wealth of skin benefits, too, the future looks golden. Lalicious began with their cult favorite Whipped Sugar Scrub and has expanded into a full range that uses high-quality and natural ingredients like Coconut, Sweet Almond, Vitamin E and Marula Oils, which are nourishing to the skin & body and provide natural hydration that lasts all day. Philosophy is a brand that approaches personal care from a skin care point of view, while celebrating the beauty of the human spirit. We believe in miracles and the beauty in everyone. Skin Care, Fragrances and Bath & Body products. For moms and exercise enthusiasts, these products will help you achieve the body and skin you desire. 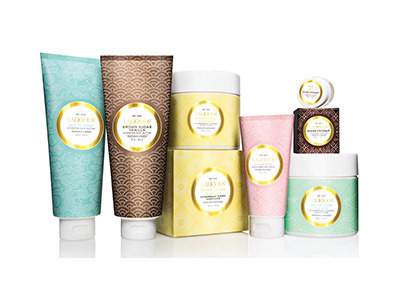 From fighting cellulite to eliminating stretch marks Mio and Mama Mio have the body care products for you.